Each map and route guide shows both the suggested route (Tom’s route in green), and the route that was actually taken by us (in blue). – CLICK MAP TO ENLARGE. Day 1: Chiang Mai to Nan (Route taken) (Tom’s Suggested Route) After an initial false start (the result of two paper map users trying to go digital) we headed up the 118 to Chiang Rai. (Tom’s route offered a more scenic alternative to the main route to Nan, but with neither of us used to following a digital route we abandoned that plan for a more familiar route. Additionally, we only had our phones rather than a dedicated Garmin or similar..which proved “interesting” later on..aka dot position moving about!). We both knew this main route to Nan, so no thinking was required and we could just enjoy the ride. 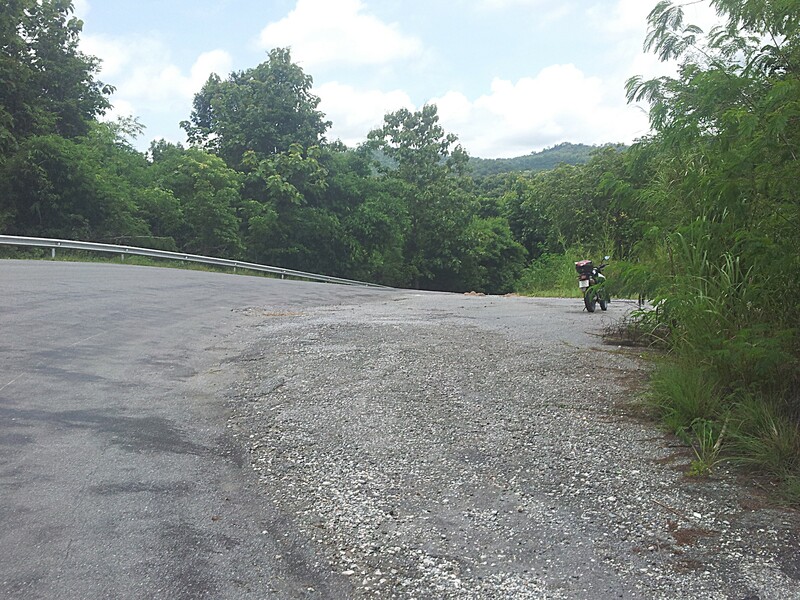 On route 12, close to Maoi@Khao Koh Coffee Shop, my mind was officially blown. Given that I usually don’t like main highways, this route was an unexpected joy. Beautifully scenic. Breathtaking in fact. This area is known as “The Thai Switzerland”. Having spent some time in Switzerland in the past, I could see why it might be called that.